We provide high-quality foreign language learning programs. We give you the opportunity to learn through our foreign language learning app and we guarantee you an excellent experience. Our learning courses are considered to be the best. Our school of foreign languages, offers you teaching foreign language online and the ability to get a degree. Our new feature is getting a degree in learning Chinese. Starting off with elementary grammar exercises along with our trained professionals, we are going to give you the ultimate learning experience. On Esoeonline you can also find different kind of Grammar, Reading and Vocabulary Exercises. We live in a society where the ability of knowing a foreign language is very important. There are many advantages and benefits to learning a foreign language, such as helping you get a good job, improving your memory, boosting the brain power and expanding your point of view in the world. It’s been proven that studying a foreign language delays the onset of dementia. Speaking a foreign language can develop improvement of your mother language by noticing the differences between the two languages. In conclusion, “As many languages you know, as many times you are a human being”. 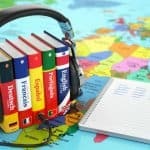 Find the foreign language learning program that suits you the most.